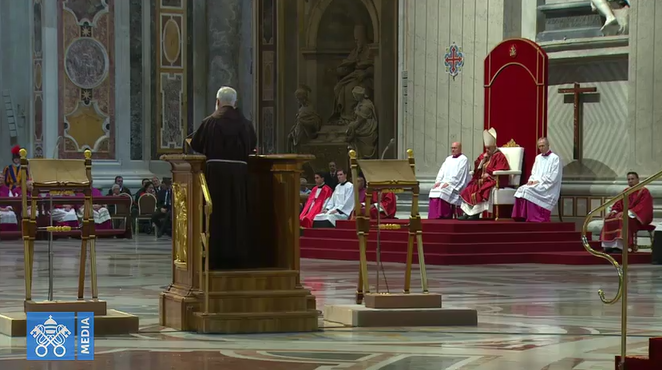 Other highlights of this new text include Vigano's affirmation that "I declare with a clear conscience before God that my testimony is true" and his slamming of Francis' silence as an admission of guilt: "How can one avoid concluding that the reason they do not provide the documentation is that they know it confirms my testimony?" the former nuncio asks. He challenges by name both "Cardinal" Daniel DiNardo of Galveston-Houston and Marc Ouellet of Quebec to provide information they have, so it will be most interesting to see how they react. Even good ol' Amoris Laetitia makes an appearance in the second Vigano Testimony! Meanwhile, the Twitter account of the Austrian web site kath.net reports that Francis has canceled his daily homilies for the next few days. He probably needs some time to figure out what to say now since the passive-aggressive "Look at innocent Christ-like me being persecuted by the satanic Great Accuser" demagoguery won't fly anymore. As we've said in a recent podcast: Don't be surprised if at some point we're going to see a dead body dangling from a bridge over the Tiber. If Vigano's charges are accurate and things are "even worse" as some sources in the Vatican have reportedly disclosed, then this is not out of the question, unfortunately. A lot is at stake, and Vigano has now shown that he isn't going away. Moreover, he has already said he fears for his life. Oh, and tomorrow, Sep. 28, marks the 40th anniversary of the strange and untimely death of "Pope" John Paul I. Remember?